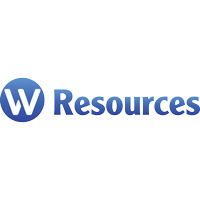 W Resources PLC (LON:WRES) Chairman Michael Masterman caught up with DirectorsTalk for an exclusive interview to discuss their latest La Parrilla mine update. Q1: We see that you recently updated the market on La Parrilla mine in Spain, can you just talk us through the highlights? A1: So, at La Parrilla, the first thing is that we’re in production and we hit the 50 tonne mark of production with a shipment this week, we shipped it off on Monday and got paid on Wednesday so that’s always a good outcome for the company. On the development front, we are very much accelerating towards completion of the plant at La Parrilla in south-western Spain and there’s been lots of lots of progress there in the last 2 months in particular. Q2: What does this mean for the company with the update in production? A2: In terms of the production, importantly it’s revenue so revenue is coming in the door, that’s covering the base operating costs of the operating team which is important as you gear up to ramp up to the much higher tonnage. We’re producing about 20 tonnes a month and we’ll expand when the big plant is finished to 200 tonnes a month. The other important thing is it gives us a chance to make sure we can get, very quickly, to the correct product specifications for our customers and have the revenue coming in. On the development front, we’ve completed the large crusher which crushes 350 tonnes per hour, that is fully commission and operational and working well so that gives us a lot of comfort on that part of the plant. We’re pushing forward decisively to finish the Jig which is the second plant and the concentrator which will then follow. We’ve got a lot of other parts of the La Parrilla facility finished including the brand new LNG gas generators which will significantly lower our power costs and we’ve got very good momentum going into 2019. Q3: At the same time as the announcement you also issued some Ordinary Shares to Turner Pope, I think they’re due to admitted to trading on 12th February. What can you tell me on the background to that? A3: Those were some shares that Turner Pope took instead of taking fees and it was associated with that placement we did to the Miton Group, a very well-respected fund in late November last year. It took a little while to get the paperwork done on that but the primary gain from that transaction was getting a well-respected shareholder on the register and backing W Resources going into the new year. 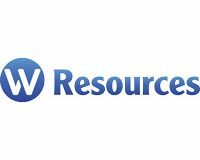 Q4: You’ve touched on some of the things that are happening but what should shareholders be looking out for over the coming months from W Resources? A4: So, shareholders should look at us progressively completing the large scale 200 million tonne per annum La Parrilla plant, look for the Jig to be finished, the concentrator to be finished and then for us to move into the ramp-up to large scale production.